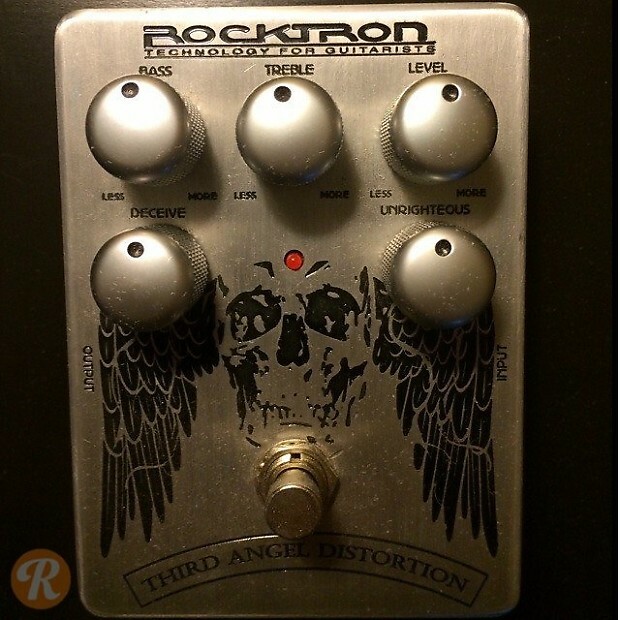 The Third Angel Distortion includes Bass and Treble controls to shape the high and low end of your signal, with a Deceive control to adjust the amount of gain and an Unrighteous knob that that alters the waveform symmetry to vary the type of distortion being applied. A Level control adjusts the overall output. A perfect pedal for metal, punk and other genres requiring thick, heavy distortion.